Before you read a text on how to improve your speaking, read the following comprehension questions. 1. According to the text, what can you do to practise your speaking if your company or employer doesn’t have the money to pay for your English lessons? 2. What’s the quickest and easiest way to find topics to talk about? 3. How often does the text suggest you should meet up to practise English? 4. Should you correct your friends and colleagues if they make a mistake? 5. Why is it a good idea to record your voice? 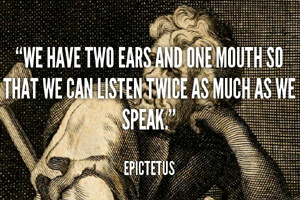 Many students often ask us how they can improve their speaking. The obvious answers are to go to an English-speaking country, find English-speakers in your area and attend English clases at a good academy. You can also look for language exchanges and English pub quizzes and similar activities in pubs and bars where you live. Another solution, which you may not have considered, is to organize an English speaking group yourself. You could ask your company to start English lessons or, if you’re not working at the moment, get together with your friends and classmates in your spare time. If you’re working in an office, your company probably has a training budget. If they say they can’t afford it, you can organise a group of people to get together once or twice a week at lunch time or after work and practice English. If you don’t know what to speak about, just make a list of topics and discuss one each week. Do a Google search for “discussion topics” to find a list of websites which will give you some ideas. Meet for an hour or two once a week and make a rule to speak only English for this time. You’ll be surprised how quickly you will improve. Make sure you help your friends and colleagues by correcting their English and ask them to correct you. It’s also a good idea to record your discussions on a voice recorder, video camcorder or mobile phone. Then you can play it back to analyse your mistakes and see how you sound. There is no fast and easy solution. You have to be pro-active and motivated to improve your speaking. 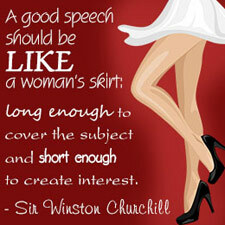 However, once you start, you’ll be surprised how quickly your speaking will improve. 1. Why do you need to be careful when choosing which songs to listen to? 4. What does the contraction ‘whatcha’ mean? - A fun way to improve your listening is with English songs. We suggest you choose your songs carefully because some singers are easier to understand than others. Frank Sinatra and the Beatles, for example, are a lot easier to understand than Black Sabbath or The Arctic Monkeys. - YouTube is an excellent place to go to find music and lyrics. The lyrics of a song are the words. Just type the name of your favourite song, singer or group and then the word ‘lyrics’ afterwards. I’m sure you’ll be able to come across your favourite artists by using the search box. Don’t forget that words at the end of each line of a song often rhyme, that means they have the same sound. Notice that words often have the same vowel sounds, even if the spelling is different. For example, “love” sounds like “tough”, “heart” sounds like “start” and “too”, “to” or “two” sound like “through”. Finding these rhyming vowel sounds in songs will help your pronunciation. - To improve your vocabulary, pause the song and look up words in the dictionary. I use wordreference to improve my Spanish vocabulary. When you have checked difficult vocabulary and feel comfortable with the meaning of the lyrics, why not sing the song in English? Practise the rhythm and intonation of the lyrics. Next time you find yourself in a Karaoke bar you’ll be able to impress your friends by singing in English. Just have a couple of large whiskies before you get up on stage!.